THE TOY SHOW is without a doubt a national institution. 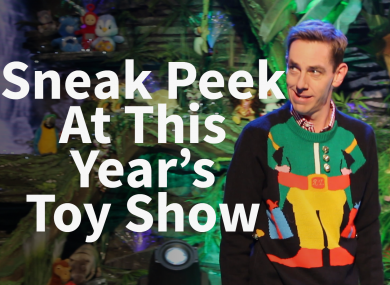 The yearly Late Late special has been the most watched in Ireland year after year as children and parents (and any adults who are sensible enough to refuse to grow up) tune in. Tonight is the night once more, and we were lucky enough to get a sneak peek at this year’s Jungle Book-themed set – take a look at the video above. Video by Nicky Ryan with reporting by Gráinne Ní Aodha. Email “Here's a sneak peek at the madness in store for tonight's Toy Show”. Feedback on “Here's a sneak peek at the madness in store for tonight's Toy Show”.